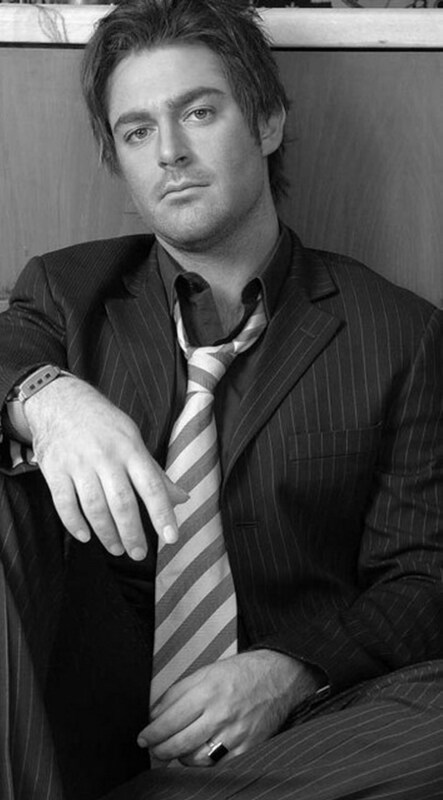 Mohammad Reza Golzar (Persian: محمد رضا گلزار‎, born March 21, 1977 in Tehran, Iran), is an Iranian actor and musician. He was born on 21 March 1977 in Tehran, Iran. He has a degree in mechanical engineering from the Azad University. 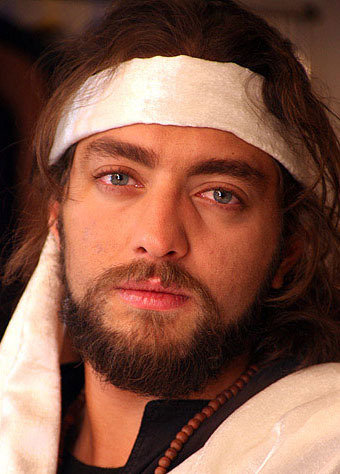 Bahram Radan (Persian: بهرام رادان ‎, born 28 April 1979) is an award-winning Iranian actor. While working towards a degree in Business Management in college, Radan signed up for acting classes where he was discovered as an emerging talent. He got his first break when he was given an opportunity for his first role starring in the movie “The Passion of Love”. The movie went on to achieve great success at the box office and was one of the top grossing movies of 2000. Radan has since starred in 27 movies and has become a popular household name in the Middle East, often referred to as one of the top 5 superstars of Iranian cinema. His extreme popularity caused Iranian authorities to ban his images from billboards in 2008, In 2010 he was chosen by United Nations as the first Iranian UN Ambassador Against Hunger. He has recently ventured into music and released his first album, “The Other Side” in 2012. Music videos were created for three of the songs from the album: Jeegh (Scream), To Rafti (You Left) and Zamouneh (Era). Radan has been exiled from Iran and currently resides in Toronto, where he is recording music for his forthcoming album. 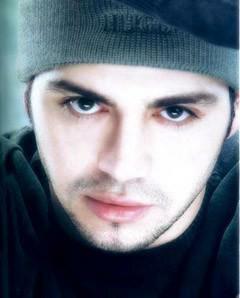 Iwan is a well known Lebanese singer who was born on August 17th, 1980 in Lebanon. Iwan real name is Mohamed Baaseery, his mother has a nice voice, he has two brothers and one sister. Iwan holds a degree in Hotel Management from the Lebanese University. Iwan is currently preparing for his Masters in Business Administration (MBA) degree. 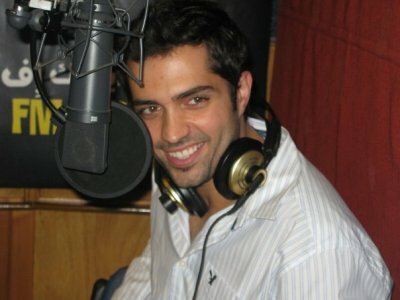 Iwan started by composing music to singer Bassima, Fares Karam, and also wrote the words of a song for Carole Samaha in his early years as an artist. Iwan started singing at school and university. After performing his military service, Iwan wrote the words of his first song (Ouedni wkol Inchallah). Iwan made his first videoclip for this song with Walid Nassef as the director. Iwan second hit was (Zanbi Eih) which was composed and written by Iwan himself. Iwan soon signed a contract with Melody Music Production company and released his first album in summer 2004 entitled Albi Sahran. 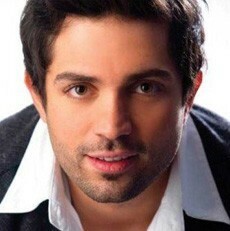 Mohamad Bash or Mohamed Bash (Arabic: محمد باش‎) is a Syrian Singer, Writer and Composer. 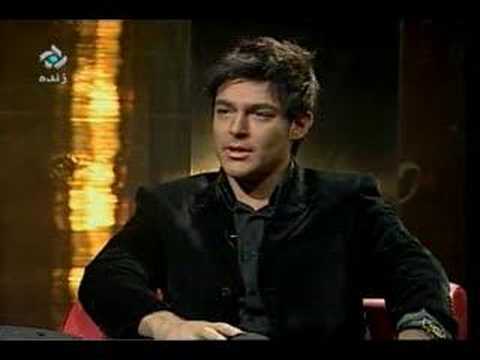 Bash in February 2009 was admitted to the sixth season of the Lebanese reality TV and talent show Star Academy. Twenty candidates, from all over the Middle East aiming at starship, get to compete for the “Star” title of the talent show. Bash’s journey on the talent show ended one step away from the semifinal phase. Bash was invited for the opening ceremony of the Syrian 2009 International Film Festival. The event took place in the capital city of Damascus in October 2009. This event was a crucial introduction of Bash as a professional artist in the music and entertainment world. Composed and written by Bash, “Rah Ensaki is the first official single that was released in November 2010. Bash is currently working with Jammo Art Production on his first new Pop album ‘Ana Almoshtaq’ set to be released in 2014. Composed and written by Bash, “Rah Ensaki” is the first official single that was released in November 2010. Kıvanç Tatlıtuğ (Turkish pronunciation: [kɯvantʃ tatɫɯtuː]) (born 27 October 1983, Adana) is a Turkish actor and model who has received two Golden Butterfly Awards for Best Actor. Tatlıtuğ won the pageants Best Model of Turkey and Best Model of the World in 2002. Tatlıtuğ was born on 27 October 1983, in Adana, to Erdem and Nurten Tatlıtuğ. He has four siblings. The name Kıvanç means “pride” in Turkish and Tatlıtuğ is a portmanteau of the Turkish words tatlı (sweet) and tuğ (a coat of arms of Old Turkic symbology). Tatlıtuğ’s paternal grandmother was an immigrant from Bosnia and Herzegovina.His mother is from Edirne and his dad is from Adana. He has said that he was born and raised in Adana and that his family has had a bakery business in the city for more than a hundred years. He studied at Yenice Çağ Private High School where he excelled in basketball. Due his Tatlıtuğ’s father’s illness, the family moved to Istanbul so that his father could receive proper treatment. In Istanbul, he joined Beşiktaş sport club as an amateur basketball player. Kıvanç hosted some pageants and shows. 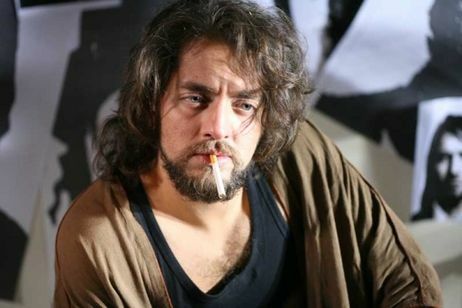 A turning point in Tatlıtuğ’s career was when he starred in Gümüş as the character Mehmet Şadoğlu. He acted in the comedy film Americans at the Black Sea which was directed by Kartal Tibet. He has also starred in other shows such as Menekşe ile Halil where he played alongside of Sedef Avcı. In the series Aşk-ı Memnu, Kıvanç shared the leading role with Beren Saat. He won the Golden Butterfly Award for Best Actor in a Leading Role for his performance in Aşk-ı Memnu. Kıvanç dated Miss World 2002 titleholder Azra Akın from 2005 to 2009 and actress Meltem Cumbul from early 2009 to August 2009. He dated İdil Fırat, the daughter of millionaire Önder Fırat; however, they broke up. Kıvanç Tatlıtuğ returned to his ex-girlfriend Azra Akın in 2011, on January 2013 they both took a decision of a final break-up after they got tired of an 11 year old on-off relationship. He provided the voice of Ken for the Turkish dubbed version of Toy Story 3. Since 2011, he has portrayed Kuzey Tekinoğlu in the Kanal D drama series Kuzey Güney which ended in June 2013 . Tatlıtuğ played the poet Muzaffer Tayyip Uslu in the drama film Kelebeğin Rüyası. Ali Hammoud is a Top Model, Mister International 2012 and Mister Asia 2010 title holder. Ali won the title of Mister International 2012 in Bangkok, Thailand last November 24, 2012. He was born in Lebanon’s Sidon district, Kfarmilki, a place he is quick to praise for its uniqueness in which the rich and poor work harmoniously to make the town an even better place. With such a conducive environment, he spent a large part of his childhood playing football with his neighbors. Ali cites his family as a positive influence in his life and the source of his strength. Before being crowned MISTER INTERNATIONAL 2012, Ali worked as a project manager, fitness trainer, Math teacher and anti-hacker programmer. It was during this time he decided to participate in his country’s national pageant. Ali not only won the Mister Asia Award, but the prestigious title of Mister International Lebanon 2012, gaining him the right to represent Lebanon in the 2012 MISTER INTERNATIONAL Pageant. He was also professional football player with the Lebanese national team. As MISTER INTERNATIONAL, Ali uses his title to champion awareness of healthy lifestyle. He will also spend much of his time partnering with charities around the world. In his spare time Ali enjoys fashion, practicing all kinds of sports such as football, basketball and riding motorcycling; watching horror movies and playing video games. But it is technology that he loves most especially tech programs, news and inventions. After his reign, he hopes to launch DotNet, a web service company, and pursue his dream of becoming a famous male model-presenter around the world. 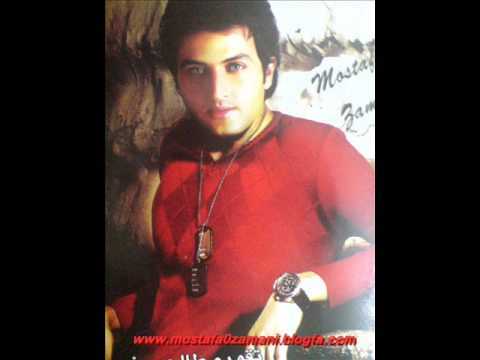 Mostafa Zamani (Persian: مصطفی زمانی‎) was born in Fereydunkenar, Mazandaran, Iran on 21 June 1982 and is a Persian actor. He first appeared in the block buster mini series Prophet Joseph. Zamani has completed training in industry management and had begun work as an accountant. The name Mostafa was given to him by his mom, and he is very proud of his family name Zamani. Since his childhood, everybody talked about his green eyes. His first experience in front of the camera was in 2005. His name was chosen from among 3000 people who auditioned for the role of Joseph (Yusuf). He was to have a clean and perfect face for that role. Leaving the city where his family resides he was a bit overweight and had to train 3 hours per day to look lean. He wore brown contact lenses for the role of Joseph and used darker make up to fit the role.. People see him on the street and don’t know that he is the one playing the role of Joseph. In that serial, the youthful Joseph is his real life cousin. He is the son of his aunt. Zamani’s film series has record viewership. He currently is working on a movie named “AAL” as his second experience in Iran’s Cinema. In Aal, he will not use make up and does not have to wear contact lenses. He will be seen as himself with his natural beauty. Currently, his is also working on a new film titled Jamedaran.